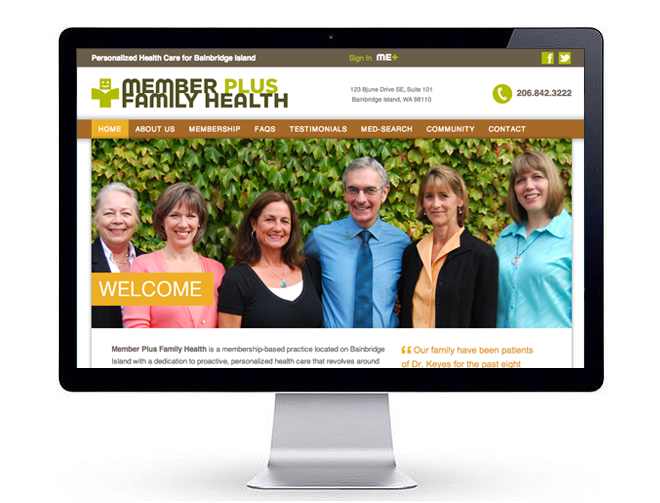 Scope: "No business is an island," with the possible exception of Member Plus Family Health, a new species of "membership-based," concierge medical practice that is right at home on Bainbridge Island. 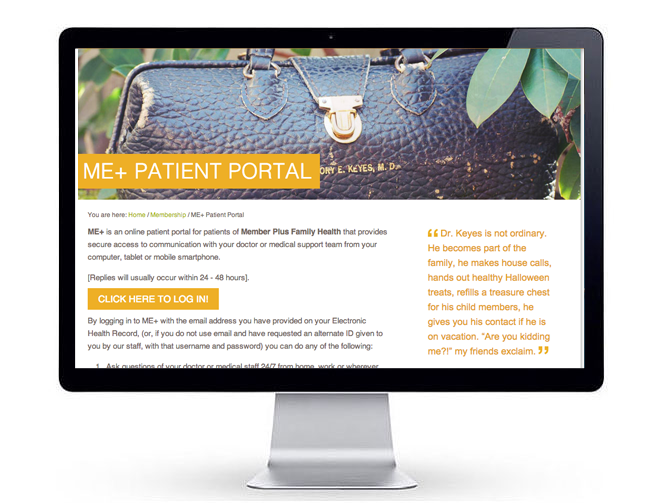 Mission: Create a new identity, Web presence and HIPAA-compliant electronic patient portal for Bainbridge Island's first membership-based medical practice, offering 24/7 physician access, longer appointments and personalized health tracking to 30,000 Bainbridge Island residents. Key Insight: Securely managing Electronic Health Records online (under HIPAA-compliance) is just the beginning of the new era that is dawning for doctor-patient communication online. 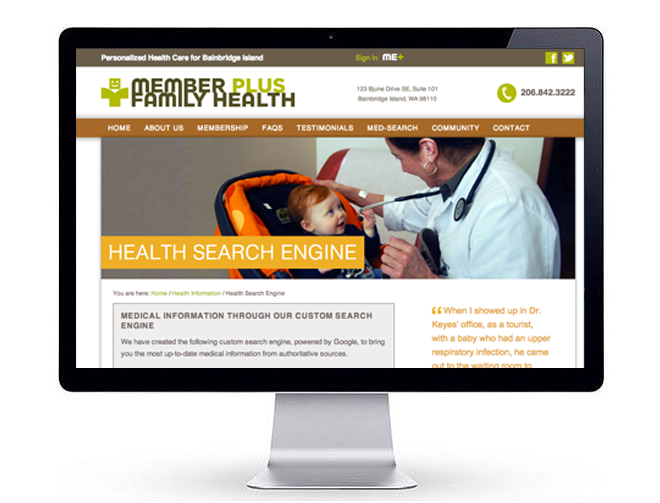 By adding access to a custom search engine of the nation's top medical sites, maps to local community resources, schools and senior centers, a community calendar and FAQs on Medicare and the Affordable Care Act, MemberPlus is setting a higher standard and pace for more informed health care today. Perspectives: With an expectation that 25-50% of consumers will be directly buying healthcare, providers need to develop consumer marketing skills. Simply being in an insurance company’s network misses out on the massive segment of the market that is using high deductible health plans. Whether they want to or not, those consumers will become more literate on healthcare choices. Fortunately, the ability to directly reach consumers cost effectively is easier than ever. Health plans have begun a similar transition of having been only B2B marketers and are now B2C marketers marketing items such as Medicare Advantage programs. Leading healthcare providers realize they must do the same to fully serve the population they wish to serve.